This Grandmother's Garden: Our Bumble Bee Population is Causing Quite a Buzz! Our Bumble Bee Population is Causing Quite a Buzz! 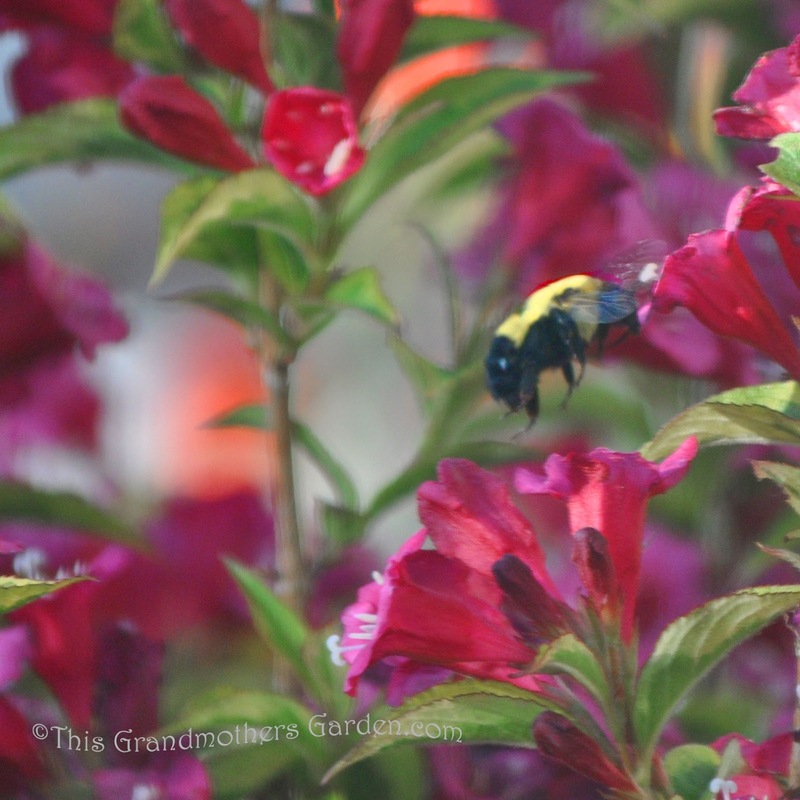 Bumble Bees are dancin' in my flowers! I can't remember the last time I saw a Bumble Bee in my gardens. out and about gathering nectar from my blooms. Take a look at that tongue! This is such a delight that I decided to do a little research. Just what exactly is going on here? Why suddenly a population boom? to these beautiful and beneficial creatures. (so little snow that some of our trees and shrubs didn't survive). This has actually meant quite a boost for the Bumble Bee. 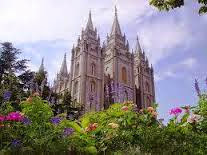 Their population is noticeably up especially in Northern Utah. this Spring in Logan alone. Now that's something to buzz about. so I continued my research. ♥ Bumble Bees are quite large (3/4 inch long) and are shades of black and yellow but may also have white or orange markings as well. All Bumble Bees are furry. There are 50 Species found in North America, 20 of them are native to Utah. ♥ Bumble Bees form colonies like the honey bee, but their colonies are small. Bumble Bee colonies only survive during the warm season. New queens hibernate alone to begin another colony the following Spring. 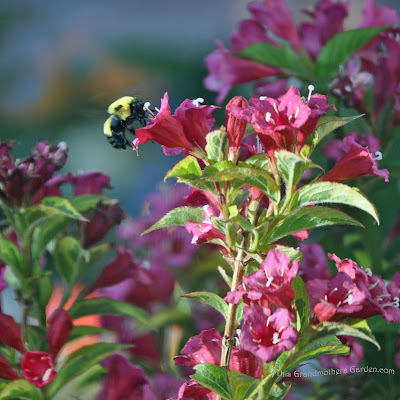 ♥ Bumble bees are important pollinators of many plants. Both queens and workers collect pollen and transport it back to the colony in pollen baskets on their hind legs. 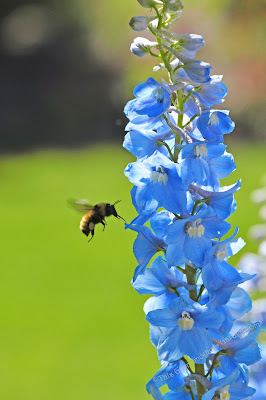 ♥ Bumble Bees only produce enough honey to feed themselves for a few days. How's the Bumble Bee population in your gardens? there are some things you can do. 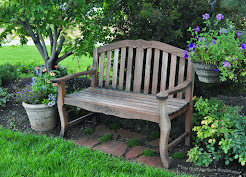 Include a wealth of flowers in your landscape. 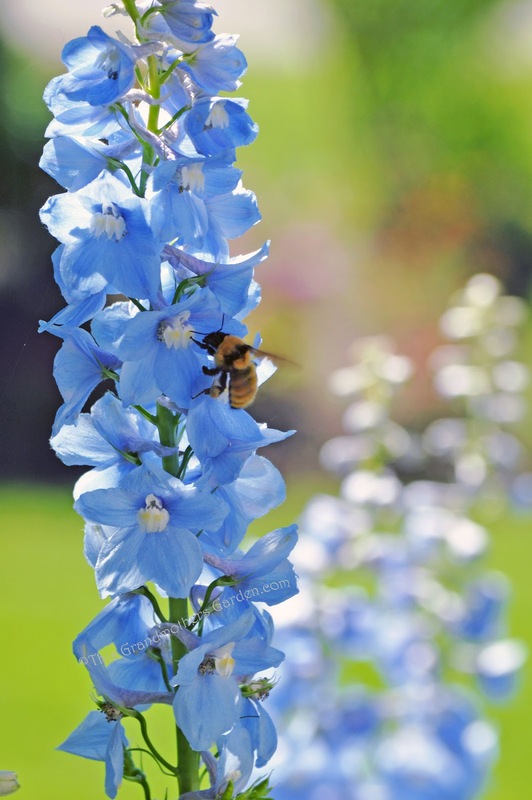 Be sure to include plants that bloom in the Fall. Never use broad spectrum pesticides. 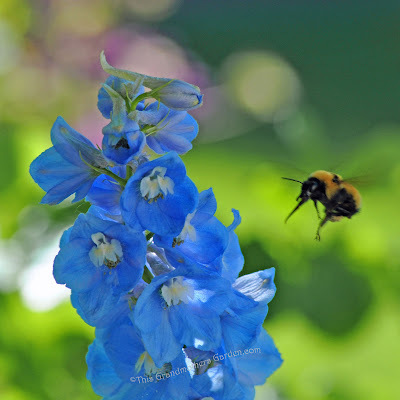 I love seeing bumble bees in the garden, but like the honey bee, many of their species are threatened, and in some cases, by the same diseases causing honey bee decline. 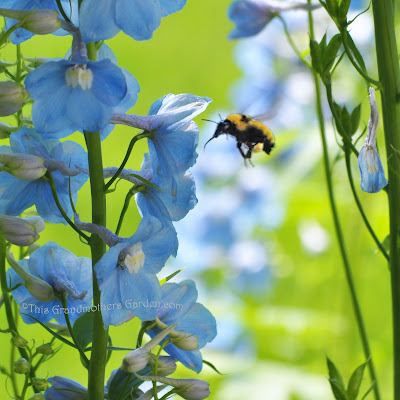 The other important thing for gardeners to note is that many bumble species nest below ground. Those nests can be easily destroyed by rototillers, or excessive watering practices. I expect some of your choices of flowers in your garden are encouraging them to visit more too. Bumble bees can forage from some flowers that honey bees can't reach the nectar in. Here they love our native sages, and both bee types at the moment are mobbing the lavender! 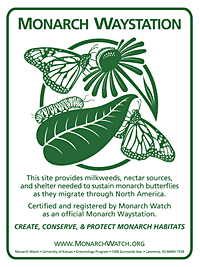 We were in drought here for over 10 years and when it broke 2 years ago the butterflies arrived en masse. I find it fascinating how much climate impacts on insect numbers, and a little scary considering how much climate change is predicted. Wonderfully educational post! 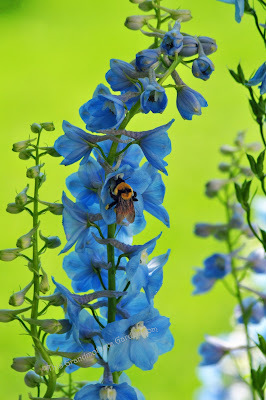 I had always wondered why I had only a few bumblebees but lots of other kinds of bees. the nest of bumblebees was damaged , and they did not fly in our garden. 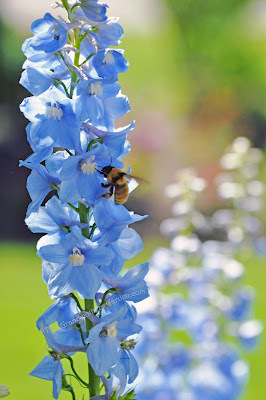 Your bee photos are very nice! I really like bumble bees. I think one way to tell the health of a garden is by the numbers of bees and other pollinators. During the extreme heat and drought we had in June, bees were regular visitors to our bird baths. I'm so fortunate to be located in a spot where the surrounding bushland has plenty of flowers that attract bees. I see our native Blue-Banded Bees all the time. It's wonderful to see the Bumble Bees returning in large numbers to your corner of the world. Obviously the conditions were just right. Your photos were just terrific. Lots of bees in my gardens now too. But your bees are a darker golden color than mine! Love all the wonderful shots you were able to get. 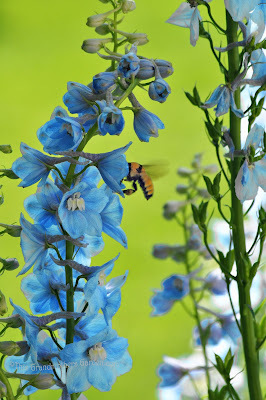 The pollinators are good here with all the blooms especially the natives...now if we could get a break from the record setting heat and get some rain.....gorgeous pics! 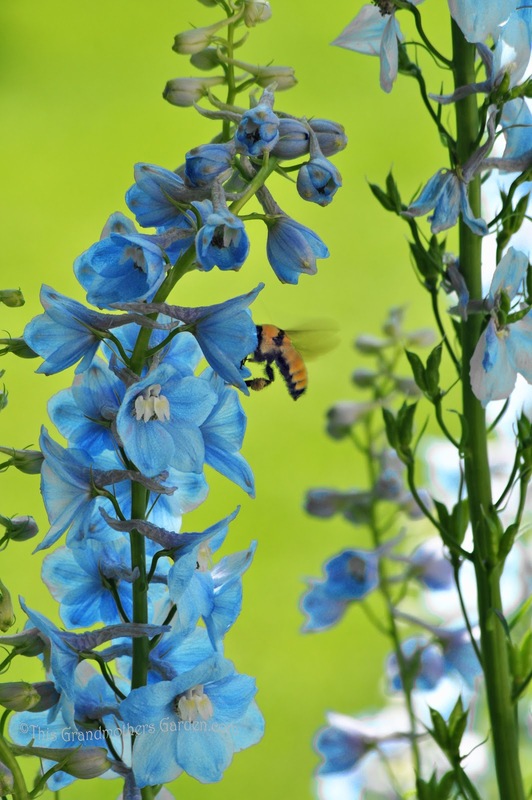 Lots of great bee pictures. I had lots here also until the drought and extreme heat hit. Now there aren't as many although I do have a couple hornets trying to make me crazy right now. For a while I had the wasps which appear mostly gone. I love them to bits, really. They create such a soothing soundscape.